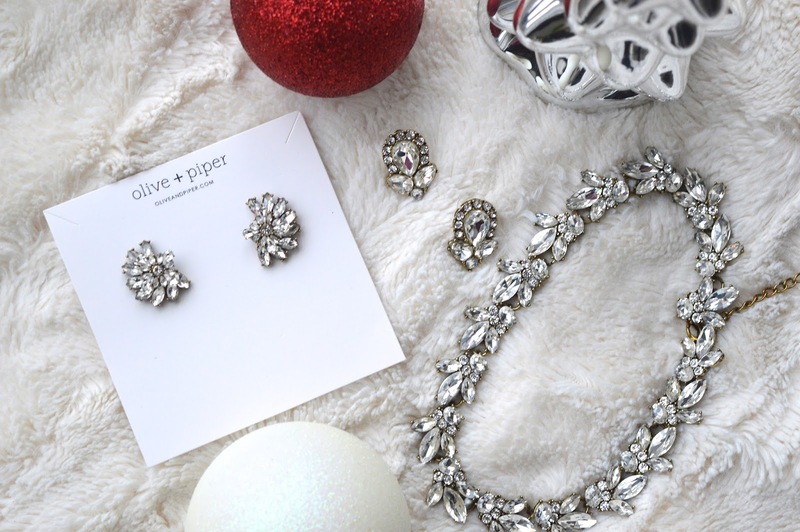 Today's giveaway is a gorgeous necklace and earring set from my awesome friends at Olive and Piper. Olive and Piper is my absolute fave online shop for accessories. The pieces are incredible, sparkly and can be worn during the day or for an evening out. Today's prize is the Firefly collar and the luxe crystal earrings. The earrings are the shown in the picture on the Olive and Piper earring card, the necklace shown is the best selling Lucy and is a must have. Make sure you enter below and good luck, this is a great giveaway!